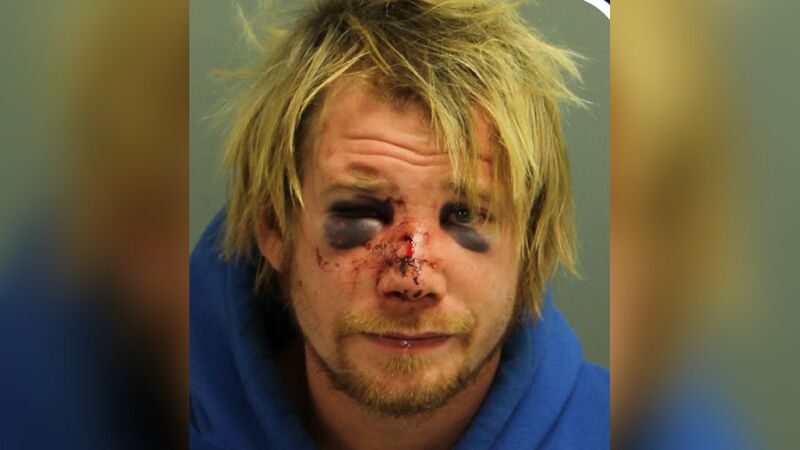 RALEIGH, North Carolina -- A man accused of kicking in the door of an apartment in North Carolina met his match when a man inside clobbered him with a piece of firewood. The Raleigh Police Department said it happened Monday on Shanda Drive off Spring Forest Road. In his mugshot, 27-year-old Matthew Lawrence Bergstedt has two black eyes and facial lacerations. Police said after the resident hit him, Bergstedt fled and broke into a vacant apartment nearby. He's now charged with breaking and entering and attempted breaking and entering. Police also said it was not a random act as Bergstedt was once involved with a relationship with a woman in the apartment he attempted to enter.